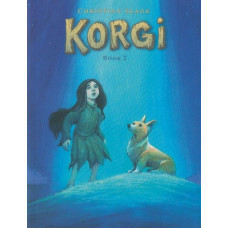 The Cosmic Collector is the second volume in the critically acclaimed, all-ages graphic novel series, Korgi. In this volume, things are not going too well in Korgi Hollow. While a mysterious hunter has trapped and clipped the wings off of many mollies, Ivy and Sprout search for answers in the surrounding woods... but they may be facing something that is totally out of this world!